This paper presents the design of Earthing system for 400 KV substation and calculation of its parameters. Successful operation of entire power system depends to a considerable extent on efficient and satisfactory performance of substations. Hence substations in general can be considered as heart of overall power system. 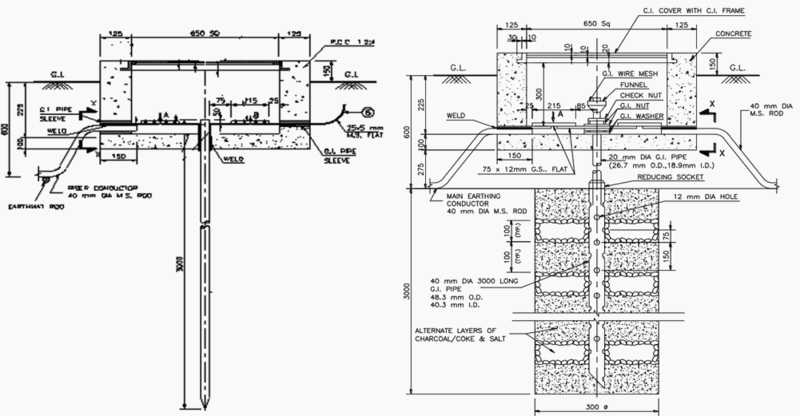 In any substation, a well designed grounding plays an important role. 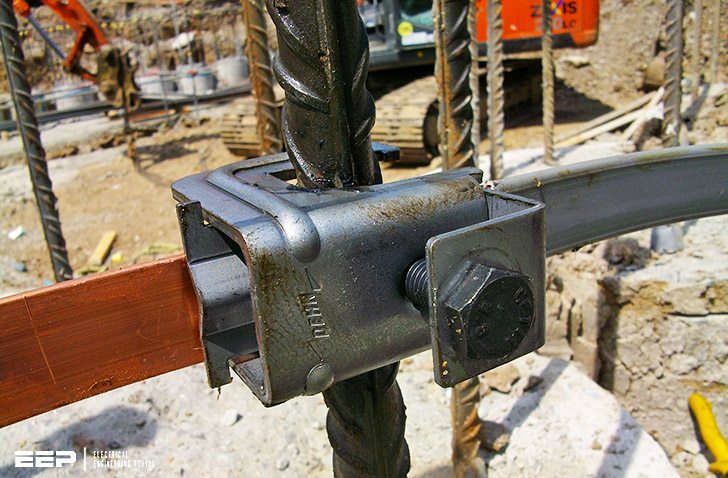 Since absence of safe and effective grounding system can result in mal-operation or non-operation of control and protective devices, grounding system design deserves considerable attention for all the substations. Grounding system has to be safe as it is directly concerned with safety of persons working within the substation. Main purpose of this work is designing safe and cost effective grounding systems for HV / EHV substations situated at such locations where soil of the substation site is not uniform. Initially significance of Earthing is explained and methodology for design of substation grounding system is discussed for HV / EHV substations. Standard equations are used in the design of earthing system to get desired parameters such as touch and step voltage criteria for safety, earth resistance, grid resistance, maximum grid current, minimum conductor size and electrode size, maximum fault current level and resistivity of soil. By selecting the proper horizontal conductor size, vertical electrode size and soil resistivity, the best choice of the project for safety can be performed. 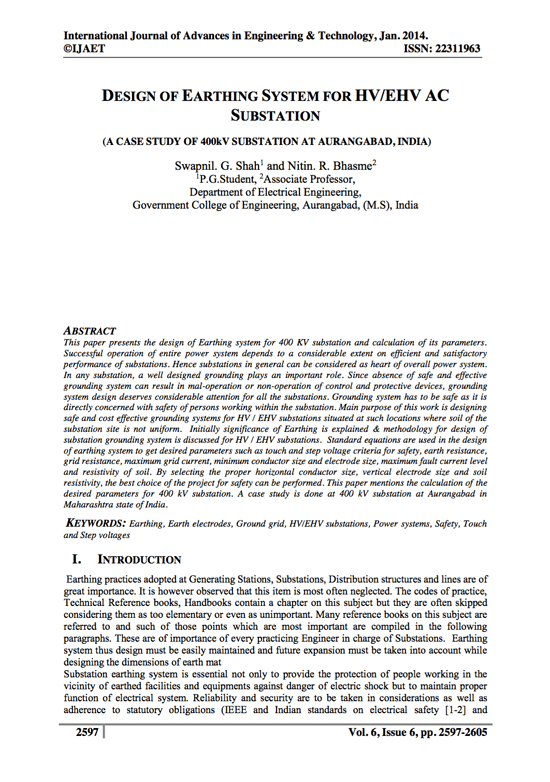 This paper mentions the calculation of the desired parameters for 400 kV substation. A case study is done at 400 kV substation at Aurangabad in Maharashtra state of India. Earthing practices adopted at Generating Stations, Substations, Distribution structures and lines are of great importance. It is however observed that this item is most often neglected. The codes of practice, Technical Reference books, Handbooks contain a chapter on this subject but they are often skipped considering them as too elementary or even as unimportant. Many reference books on this subject are referred to and such of those points which are most important are compiled in the following paragraphs. These are of importance of every practicing Engineer in charge of Substations. Earthing system thus design must be easily maintained and future expansion must be taken into account while designing the dimensions of earth mat. Substation earthing system is essential not only to provide the protection of people working in the vicinity of earthed facilities and equipment against danger of electric shock but to maintain proper function of electrical system. Reliability and security are to be taken in considerations as well as adherence to statutory obligations (IEEE and Indian standards on electrical safety and environmental aspects). This paper is concerned with earthing practices and design for outdoor AC substation for power frequency in the range of 50 Hz. The earthing system in a plant / facility is very important for a few reasons, all of which are related to either the protection of people and equipment and/or the optimal operation of the electrical system.